Grazing reindeer on Kvaløya, Tromsø. 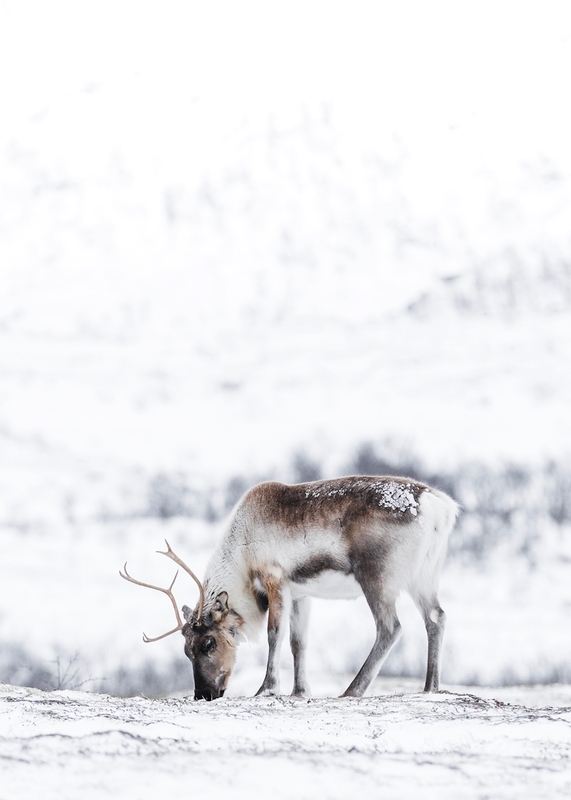 This amazing picture of a reindeer in the mountain is almost mesmerizing, with the muted colours of the brown and white fur makes it perfekt for a living room or bedroom. It would be a nice touch of art on your wall.